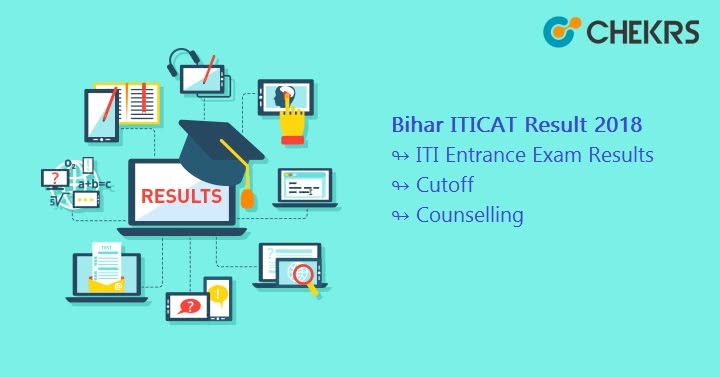 Bihar ITICAT Result 2019: The Result will be released by the Bihar Combined Entrance Competitive Examination Board (BCECEB) in the upcoming month i.e. June/July 2019. Bihar Combined Entrance Competitive Examination Board (BCECEB) is constituted under Bihar Combined Entrance Competitive Examination Act, 1995. It conducts competitive examinations every year for admissions in various professional courses of Medical, Engineering and Agricultural streams in the Institutions of Bihar state. The ITI Entrance Exam Result will be announced by the board on the basis of marks obtained in the entrance exam. Bihar Industrial Training Institute Competitive Admission Test (ITICAT) is an entrance test for candidates seeking admission to ITI colleges in Bihar. Appeared students can check their result after releasing it via online. The Result of ITICAT 2019 written exam is going to announce very soon on official website. All appeared applicants can check their result. ITICAT Result will contain the roll number, marks, and qualifying status. BCECEB will also publish region-wise result and merit list. Region wise result will show the rank and merit list will contain the timing & date of counseling, category. Result declaration date is not confirmed. So we are providing the tentative date for BCECEB ITICAT. Click on ITICAT option available on the left side of the page. Click on the ITICAT 2019 Result notification present on the ‘NOTICE BOARD FOR ITICAT’ section. Enter the required details to access the result. Download from there and take the print of it. With the announcement of Bihar ITICAT Result, BCECEB will release the Bihar ITICAT cutoff marks also. Bihar ITICAT Cutoff will be the closing rank at which admission in various professional courses of Medical, Engineering and Agricultural streams in the Institutions of Bihar state will be closed. Cutoff will be decided by the authority of BCECEB and based on the following factors like total candidates appeared in exam, the performance of aspirants, seat availability, reservation policy etc. Bihar ITI Cutoff will be based on category, region and closing rank of each college. Applicants who clear the cutoff marks will be called for Counselling. Students who will report at the time of Counselling must come with the required documents for verification. 3 recent passport-sized photographs with the name written on the back of it. Eligible candidates who qualified the counselling process will get the admission in the preferred course offered by one of the institute or college in the state Bihar. After the counseling candidates will have to report to the allotted colleges and they will get admission.